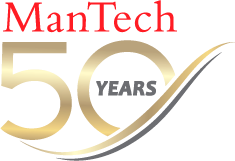 Mr. Campbell has served on ManTech’s Board of Directors since 2002 and serves as the presiding independent director. From 1999 to 2001, Mr. Campbell was a director, president and CEO of Allied Aerospace Industries, Inc., a Virginia-based aerospace and defense engineering firm. From 1993 to 1997, he was a vice president of Tracor, Inc., and served as chairman and CEO of its largest subsidiary, Tracor Systems Technologies, Inc.
Mr. Campbell joined Vitro in 1970, working as a systems engineer on the Polaris, Poseidon and Trident ballistic missile programs for the U.S. Navy. He was a member of the Board of Directors of the American Electronics Association, and has served as chairman of the Software Productivity Consortium, and as a director of the American Defense Preparedness Association, the Professional Services Council, AFCEA and was chairman of the Chancellor’s Advisory Council for the University of Maryland. Prior to Vitro, Mr. Campbell worked for the CIA from 1966 through 1970. Upon graduation from Drexel University in 1964, Mr. Campbell was a nuclear reactor plant engineer in the Naval Nuclear Power Department of the New York Shipbuilding Corporation in Camden, N.J., where he was responsible for engineering the plan installation of all of the major nuclear reactor components on four U.S. Navy nuclear submarines.